During the Second World War, the Nazi SS ruthlessly pursued its dream of creating a parallel industrial empire that would use millions of slaves to build super weapons of war and space travel. As the war approached its fateful climax, the Nazi SS devoted its rapidly dwindling resources to relocating what it could of its industrial infrastructure to secret bases in South America and Antarctica with the hope of one day achieving its dream. 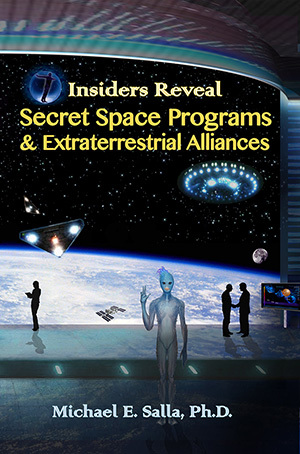 According to a Corey Goode, who claims to have worked on several secret space programs for 20 years, the Nazis SS used their new bases to continue building advanced weapons and space craft. Goode revealed that the surviving Nazis progressed very quickly and were able to defeat Admiral Byrd’s Operation Highjump, a 1947 punitive Naval expedition designed to locate and destroy the secret Nazi SS Antarctic base(s). Only a few years later, in the early 1950s, the Nazis pressured the Truman and Eisenhower administrations to sign secret agreements. 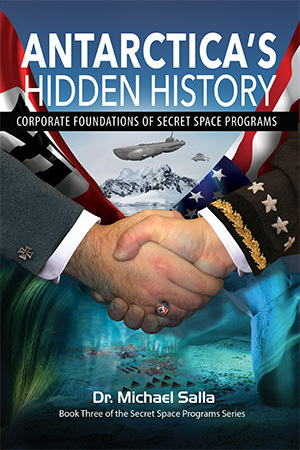 Nazi assets then infiltrated and took over much of the U.S. military industrial complex, and an emerging corporate run space program that Goode described as the Interplanetary Corporate Conglomerate (ICC). It’s worth first examining how a key ideological principle from the Nazi SS, the use of slave labor, was likely continued by a Nazi infiltrated U.S. Military Industrial Complex in both deep underground military bases, and corporate run elements of a secret space program. After his release from Spandau Prison in 1966, Albert Speer, Nazi Germany’s Armaments Minister, wrote a book about the parallel industrial infrastructure developed by Himmler’s SS to build super weapons that would win the war. In Infiltration: How Heinrich Himmler Schemed to Build an SS Industrial Empire, Speer describes how he had been ordered to support Himmler’s SS in building its parallel industrial empire that used millions of slaves for building super weapons in huge underground construction facilities. Not only would the SS use millions of slaves to win the war, but planned to continue to use slaves in peacetime to prepare for a final conflict with the USA. During the 1950’s and after they [NAZI’s] had successfully infiltrated and subverted the Military Industrial Complex and major Corporate heads they had effectively won control of the direction of not only the Break Away Civilization Programs but also the mainstream government and financial system. It was a very effective and silent coup that gutted what was once the American Republic and turned it too into a Corporate Entity with each of us being “Assets” with our very own serial numbers. This plan was in action far before World War One by various secret societies who controlled the financial system and as many know financed both sides of the wars. Through their advanced weapons systems, the Nazis were able to develop spacecraft far in advance of anything possessed by the U.S., and even established a base on the Moon. The Nazi Moon base eventually expanded to become what is now known to secret space program operatives as Lunar Operations Command (LOC). Also, according to Goode, the 1952 Washington UFO flyovers, were actually advanced Nazi spacecraft that intimidated the Truman administration sufficiently into negotiating with Nazi operatives that had been brought to the US under Operation Paperclip. When both Truman and Eisenhower signed treaties with the NAZI Break Away Civilization/Societies it was then that the already well placed Operation Paperclip Operatives (in Military, Corporate Industry, Intelligence and established Secret and Public Space Programs) easily slid into more powerful and influential positions over the massive industrial complex of the USA that they coveted to expand their operations in space and form what would later become the ICC (as well as were involved in setting up all of the other Space Programs). So they did not lose the Lunar Base, they infiltrated the groups that put a massive effort into expanding it into the massive complex that it is now. Goode has responded to questions about how ICC run secret bases on the Earth, Moon, Mars and elsewhere, use slave labor – a key ideological principle adopted from the Nazi SS. What we know from Speer’s books, is that Nazi Germany’s SS had plans to continue using slave labor even after winning the Second World War. It planned to continue building super weapons in vast underground facilities using an “empire of slaves” in an effort to eventually conquer the US. What Goode tells us is that the while the Nazi SS did not conquer the U.S. through military means during WWII, it did so through a silent coup in the 1950s where it infiltrated and took over major elements of the U.S. military industrial complex. 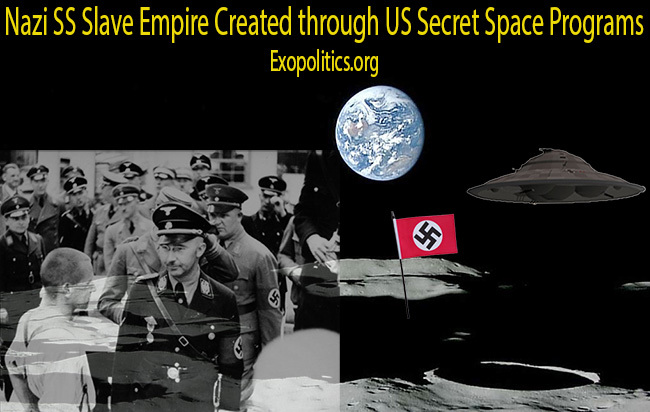 Consequently, in a number of deep underground military bases on Earth, and secret bases on the Moon, Mars and beyond, an “empire of slaves” is used to build new generations of advanced weapons and spacecraft for a corporate secret space program run by remnants of the Nazi SS.